Come in and experience the International Autos Subaru way! We aim to be #1 with our guests because you come first! Make International Subaru-Orland Park your Chicago area Subaru dealer. International Subaru-Orland Park is located conveniently near all major Chicago Land highways and Airports I-88, I-294, I-80, I-90, I-355 and I-55 with easy access to Midway & O'Hare International Airports. Get directions to International Autos Subaru Dealership HERE! Our New Subaru line-up features new 2019 models including the Legacy, Outback, Forester, WRX, Impreza, Crosstrek and more! International Subaru-Orland Park offers great low prices, specials, rebates, and incentives for new Subaru & used Subaru cars, vans and SUVs to all of our neighbors. At International Subaru-Orland Park, we take pride in everything we do. 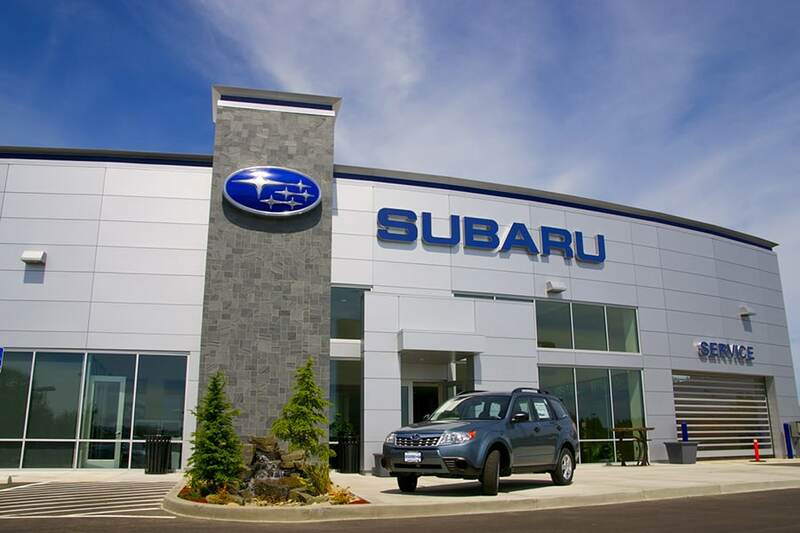 We offer new Subaru models and used cars to the Tinley Park, Orland Park, IL, Chicago, Homer Glen and Calumet City, IL, areas and have the staff in our professional Subaru Parts and Service departments to expertly serve our Chicagoland IL friends. We want to be your choice for all Subaru services in Illinois and will do what it takes to keep you 100% satisfied. Don't miss our auto service specials that can save you money when you service or repair your vehicle at our dealership near Chicago, ! Attention Tinley Park, IL, drivers don't miss out on our large inventory of new 2019 Subaru vehicles featuring the new Subaru Outback, Forester, BRZ, Legacy, Impreza and Crosstrek and view our new 2019 Subaru Ascent model, too. We have new Subaru vehicle that will meet the needs of all different types of drivers. We have the family car, the sports car, the sport enthusiast vehicle and more in our diverse line-up ! We stock used cars trucks and SUVs from today's top automobile manufactures! If a new Subaru isn't in the cards for you right now we can offer a high quality used Subaru or other pre-owned vehicle that will run and look just like-new! Get added peace of mind with the Carfax report that can be found next to most cars in the used-inventory listings. We have confidence that drivers in need of a car loan or lease in Tinley Park, IL will find an affordable auto financing option right here at our dealership. We have the team of finance professionals combined with the resources it takes to get you approved for great finance deals. Don't worry about your credit, focus on the joy of your new vehicle and we will worry about the car loan or lease details. You can get original Subaru car parts and professional car repairs from the experts at International Subaru-Orland Park. If you're looking for vehicle maintenance, repairs or parts in the Tinley Park, IL, region, visit our dealership for the professional service you deserve. At International Subaru-Orland Park, we will do whatever we can to help you own the new Subaru or used car of your dreams. We ask you to visit us at 8031 W 159th St and also learn more about us here. We are proud to serve Chicago, Orland Park, IL, Homer Glen and Calumet City, IL, with our Subaru services.